Thank you to everyone who has voted in the poll on our Facebook page. We are pleased to announce that Beetee Latier has been unlocked and joins the Resistance. Beetee Latier was digitally sculpted by the fantastically talented Luigi Terzi to bring the character to life on your tabletop. Join us on Kickstarter Live today (Wednesday 10th October) at 16:30 BST / 11:30 EST / 08:30 PST for a new draw to see which characters will be in our next poll. Beetee Latier knows first-hand the evils of the Capitol, and has vowed to defeat them. Beetee puts his mind to good use, inventing new ways to fight the Capitol. 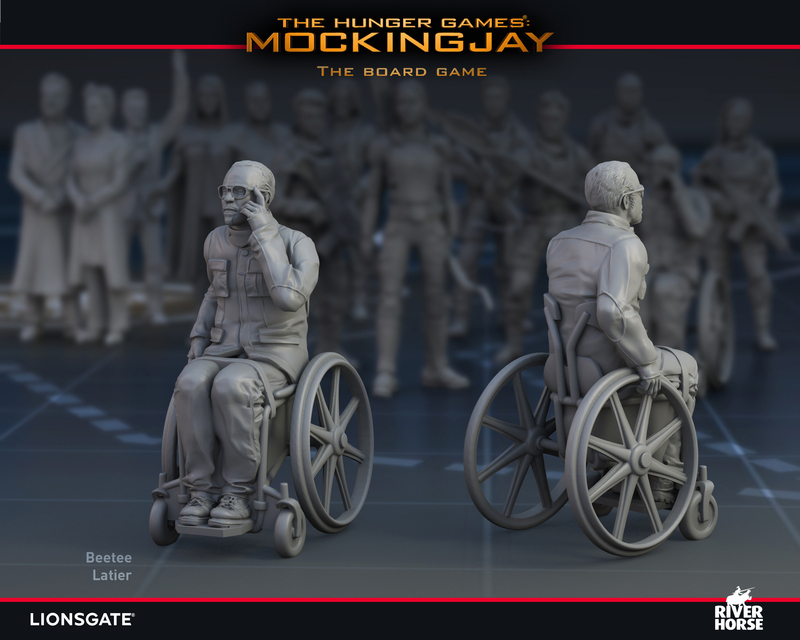 Today we are looking at our wonderful sculpt of the inventor from The Hunger Games: Mockingjay – The Board Game. 28mm scale in high detail, he is a must-have addition to any The Hunger Games collection.